With over 40 years of between them of owning Wellness Clinics, Teaching and Coaching, Tania and Dr. Dave Tuck have help hundreds of people shift their thoughts and actions to create lasting change and different outcomes in their Relationships, Careers and Health. Living the Supreme Wellness Lifestyle is about starting with YOU! Getting clear on who you are, taking stock of your current reality, designing a vision for how you would like your life to be - and creating it. Supreme Wellness is about being authentic, doing what you love, feeling great and having an extraordinary life! 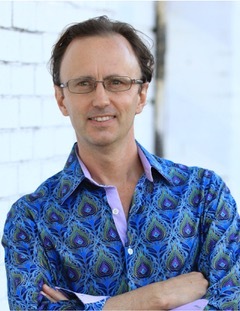 Dr. Dave and Tania Tuck bring together their wealth of knowledge to connect wisdom to experience, illuminating the path for you! Learn a variety of principles, techniques and cool ideas to help you to release emotional baggage, learn new ways of thinking and achieve your goals. Once taught, you can apply to all areas of your life independently, and therefore feel more in control. Call any Texoma Wellness Clinic for a free initial consultation with Dr. Dave or Tania. 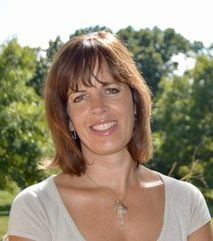 Tania is an inspired, creative, totally effective expert in personal transformation and change. Not only has Tania helped me personally at times when I have faced personal challenge but she has also fabulously assisted clients I have referred to her. Tania has a unique perspective and a seemingly effortless ability to see the big picture and practically and effectively help people to make sense of complex and life-long challenges. The investment in working with Tania is worth every penny of energy, time and effort. She is a great healer and visionary with a remarkable ability to enable practical solutions. Dr. Kim Jobst MA. DM. MRCP. MFHom. Dr. Tuck has given me a new outlook on life. He has given me new tools to deal with my everyday stressors. After only one session, I started to have a new attitude with family and friends. Change is always hard, but with Dr. Tuck's help I am ready for a new direction in my life. Tania has made such a difference in my life. I wish that everyone could spend time learning about their life is this way. She is a master at her profession, is loving and easy to work with. She has opened my eyes to my past. This came at a time that I needed to look at my life though new eyes. Tania you are a blessing to me and my world will ever be changed by your direction and kindness. Thank you. Working with Tania enabled me to move from great uncertainty and confusion regarding my business and purpose to clarity and confidence. Tania has an incredible ability to get to the core of the issue rapidly, saving ample time, energy and money on the part of her clients. Her coaching is therefore excellent value for money. She is professional, grounded and clearly integrates what she teaches, making her coaching authentic and rendering clients independent and successful in a short space of time. Since working with Tania last year I’ve left my day job, moved to Italy, created a new brand with a global following, held international retreats with high - end clients and increased my Self and financial worth beyond my greatest expectations. I would recommend your services to anyone that would listen!! I am really grateful for the emotional space that I am now in. I know I am a better daughter, mother, wife and friend to the people in my life. Being able to be free from the constraints of my past is worth everything. There is no one that would seek your help that wouldn't find peace in whatever situation that may find themselves in.